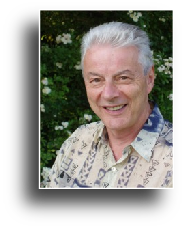 Paul Esswood has made over 150 recordings, including the Monteverdi Operas and Bach's St Matthew Passion, Christmas Oratorio, Magnificat, B Minor Mass and the Teldec complete Cantata project under Harnoncourt/Leonhardt. His 4th recording of Handel's Messiah was with the Mormon Tabernacle Choir, Utah, under David Willcocks and under Roger Norrington he made a video recording of Purcell's 1692 Ode Hail, Bright Cecilia. He has also recorded the title role of Philip Glass's Akhnaten for CBS. His solo recordings include Purcell songs, Schumann Dichterliebe and Liederkreis Op.39, Songs to my Lady (English Lute songs) and Britten's Abraham and Isaac and Folksongs. As a teacher, he is Professor of baroque vocal interpretation at the Royal Academy of Music and gives regular masterclasses throughout the world. He is an Honorary Member of the Royal Academy of Music and was awarded the German Handel prize in 1992. He regularly performs with the male vocal ensemble Pro Cantione Antiqua, of which he is a founder member, and the ensemble The Musicke Companye, which recently recorded a new CD entitled O Bone Jesu. He frequently works with his harpsichordist Helen Rogers, and the world-renowned lutenist Jürgen Hübscher. Paul Esswood, utilising his considerable experience in the baroque vocal field, has now begun a career as a conductor. For the Chichester Festival, England, he conducted Purcell's The Fairy Queen, King Arthur and Dido and Aeneas, Handel's Messiah and Bach's B Minor Mass. In Cracow, Poland, he conducted the Capella Cracoviensis in Purcell's The Fairy Queen and Handel's Israel in Egypt. For Bydgoszcz, also in Poland, he has conducted Messiah and various programmes of Bach, Handel and Vivaldi; both Vocal and Instrumental. He also conducted the Opera Pompeo Magno by Cavalli, a world premiere in modern times, for the Varazdin Baroque Evenings Festival, Croatia. This project received the Ivan Lukacic prize.